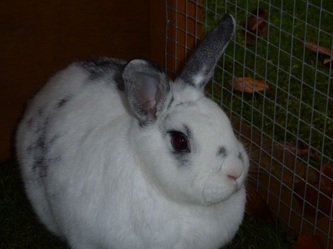 Snowflake is nearly 5 years old and recently returned to the rescue as her owners were no longer able to look after. 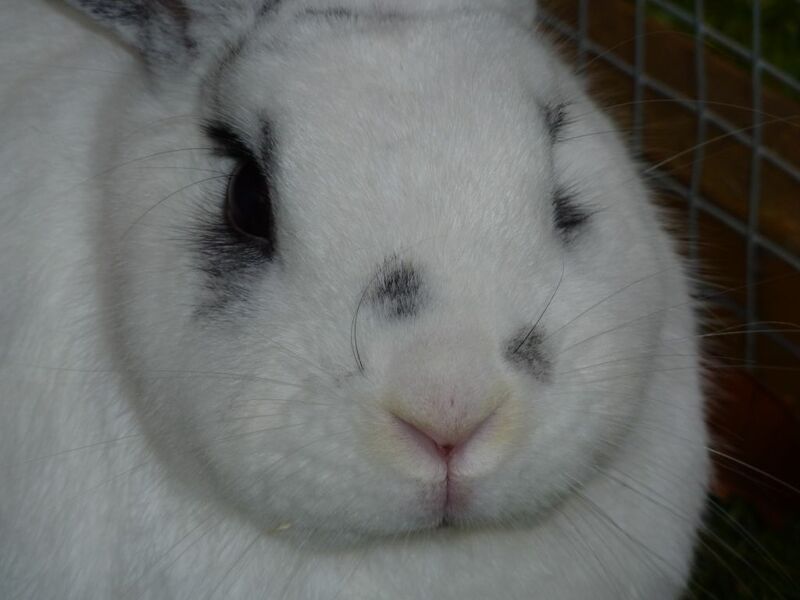 She suffered from a very dirty bum, and we have found that carrots do not agree with her digestive system. We suspect that she had too many pellets and not enough fresh food & hay in her diet. Also, she needed to lose quite a bit of weight so that she could clean herself properly. So far she has lost 0.4kg in just over a month. 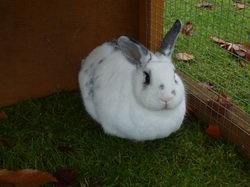 This has been achieved by reducing her intake of pellets and increasing food with a high fibre content. Not only has she lost weight, but we haven’t had to wash her back-end either !